The latest update from the OECD shows that donors are continuing to slash aid to least developed countries, falling by 16% in 2014 alone. If this trend continues, how will this impact the achievement of the Sustainable Development Goals (SDGs)? 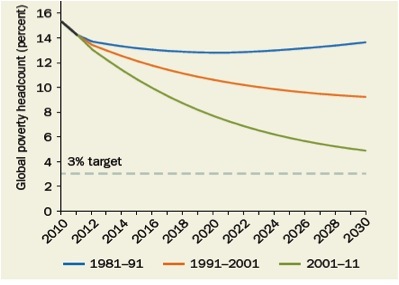 What will happen if world leaders fail to redirect this pattern at the Financing for Development Summit in July? 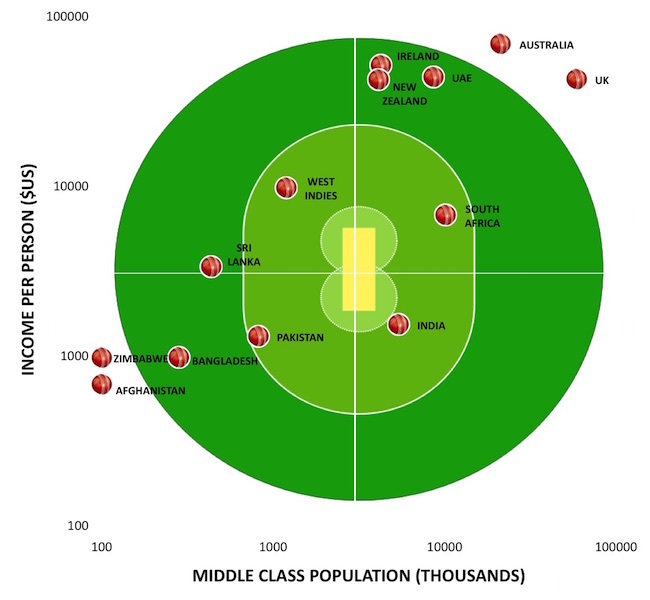 An ODI report released this week tackles these questions head on. The costs of achieving three central elements of the SDGs, ending extreme poverty, ensuring every child receives a basic education and providing universal health care are compared to the financial resources available in low income countries. The best available estimates of the costs involved in reaching these SDGs, from sources such as UNESCO, show that the annual amount required for low income countries is $148 billion. This is significantly higher than the finance available in these countries that is estimated to be $75 billion a year. 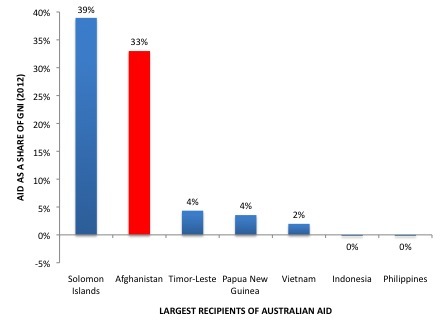 This figure is a combination of half of these countries revenue capacity and existing aid flows. Revenue capacity is estimated by using World Bank and IMF estimates of the optimal level of revenue that could be collected given a country’s stage of development. Only 50% of revenue capacity and aid flows are used because countries face many costs outside the social sectors, such as infrastructure, and on average OECD governments only spend around half of their revenue on social protection, education and health. Low income countries collectively face a financing gap of $73 billion to be able to meet these SDGs. However some countries are much closer to the amount required than others. The graph below shows the size of the finance gap on a country by country basis for low income countries, ordered in terms of GNI per capita. 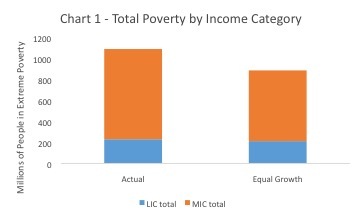 The richest low income countries, like Kenya, are over three-quarters of the way towards covering the costs. 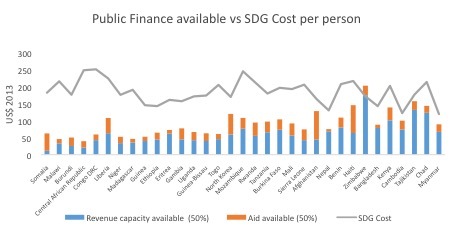 While the poorest countries, like Burundi, are not even able to cover a quarter of the costs of the SDGs. The global financing summit planned in July provides an opportunity to tackle these huge financing gaps required for the achievement of the poverty, health and education SDGs. This analysis identifies that relying on more taxes in low income countries will not be enough to ensure a global minimum standard of living for all. 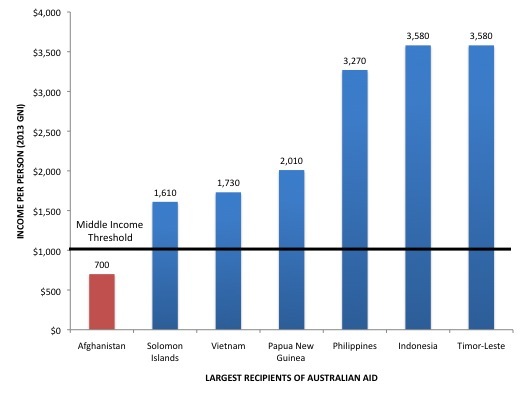 In addition to current levels, more aid will be required to pay for the shortfall. 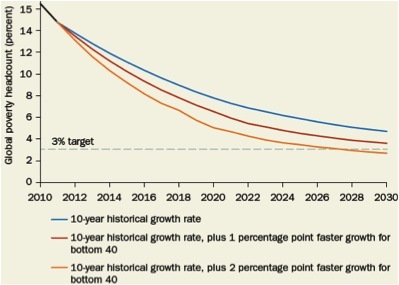 Within existing commitments – The extra finance required to meet these goals are well within the bounds of existing international aid commitments. Furthermore if current levels of international support was better targeted towards low income countries than most of the additional finance needed could be found. Small relative to other expenditure – The additional finance required to close the gap in low income countries only amounts to 4% of what the UK government spent on the 2008 financial crisis bank bail-out or less than 1% of global healthcare spending. It has never been as affordable as it is now. 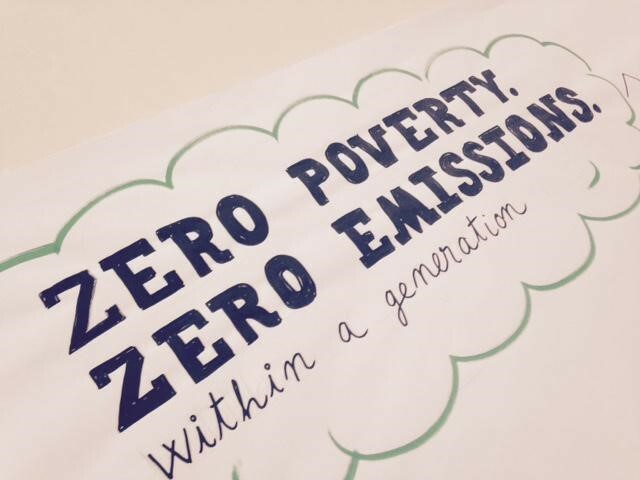 Take ending extreme poverty for example, less than 15% of the world’s population live in extreme poverty today compared to around half three decades ago and if current trends continue it is expected to reduce to around 5% by 2030. As the number of people in extreme poverty has reduced so has the cost, as only a fraction of one percent of world GDP would be required to bring everyone above the extreme poverty line. Extreme Poverty was only eliminated in the developed world relatively recently, around 50 years ago, having only begun falling dramatically from around 1850. 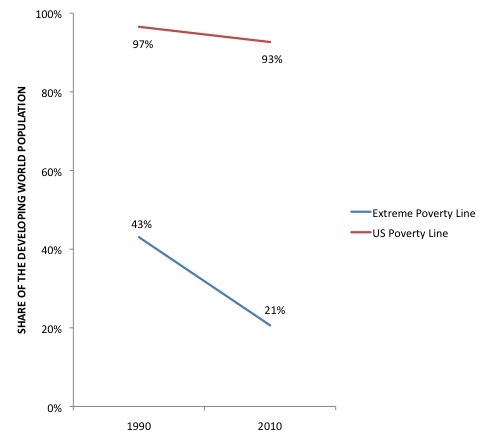 This illustrates that progress in the fight against poverty can occur quite rapidly. For the whole of human history prior to 1850, more than four-fifths of the world’s population lived on less than $1.25 a day. Today less than 15% of the world’s population live in extreme poverty and it is projected to potentially fall below 5% by 2030. 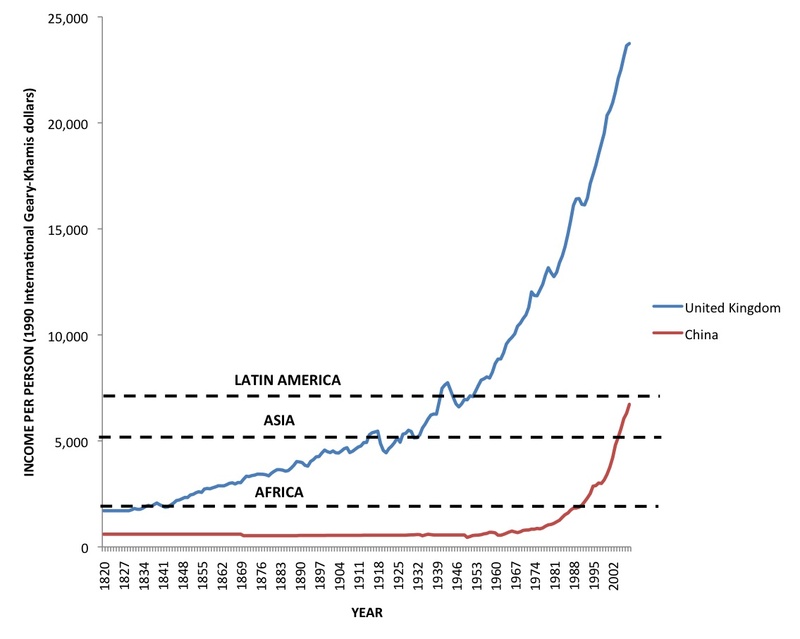 Extreme poverty was the common experience for most of human history until recent generations (see here for more information about the Beginning of the End of Extreme Poverty). Former World Bank Economist, Martin Ravallion, has estimated the historic reduction in the number of people living below $1.25 a day in the developed world using data on income and inequality. 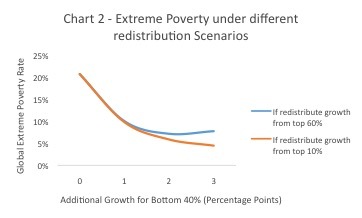 While it is difficult to be exact, he provides the best insight available into historical trends in poverty reduction, which are shown in the chart below. 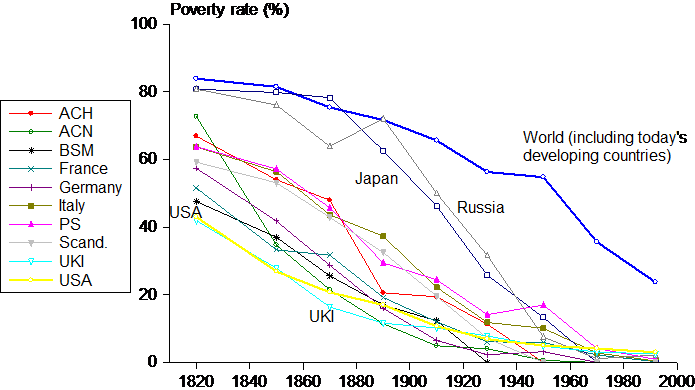 It was not too long ago that developed countries had similar rates of extreme poverty to what developing countries have today. For example, in the late-19th century, the United States had a similar rate of extreme poverty to what India has today, while at that time the United Kingdom had a similar extreme poverty rate to Ghana today. Another example is that over three-quarters of the populations of Australia, Canada and New Zealand were in extreme poverty 200 years ago, which is on par with the poorest countries in the world today, like the Central African Republic. However extreme poverty reduced to around 5% of their populations by 1915 and was eliminated by around 1950. Significant progress against extreme poverty began in the 1800s and by the mid 20th century it was completely eliminated. The relatively recent elimination of extreme poverty in the developed world provides hope that rapid progress can occur and that it is feasible that one day soon the world could be free from extreme poverty.